Come out and play the one day events next week and try to win some MLGT swag. The winner of the regular division and training division at Indian Spring on Monday 10/1 will win a MLGT hat along with the first place prize. 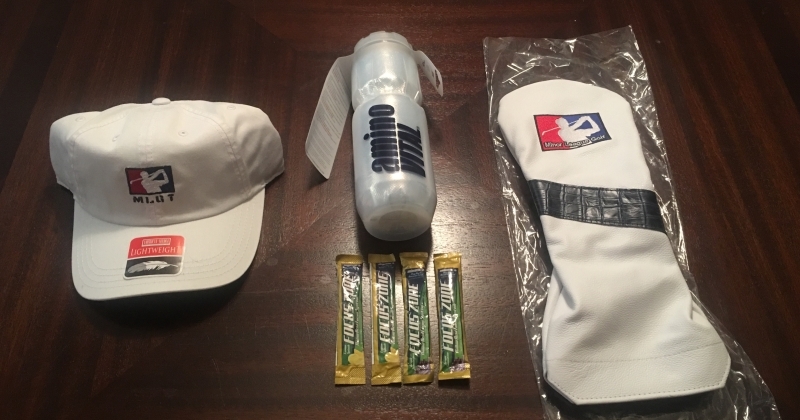 The winner of the regular division and training division at Abacoa GC on Tuesday 10/2 will win an Amino Vital water bottle and 4 packs of focus zone along with the first place prize. The winner of the regular division and training division at Jupiter CC on Thursday 10/4 will win a MLGT leather driver head cover along with the first place prize.